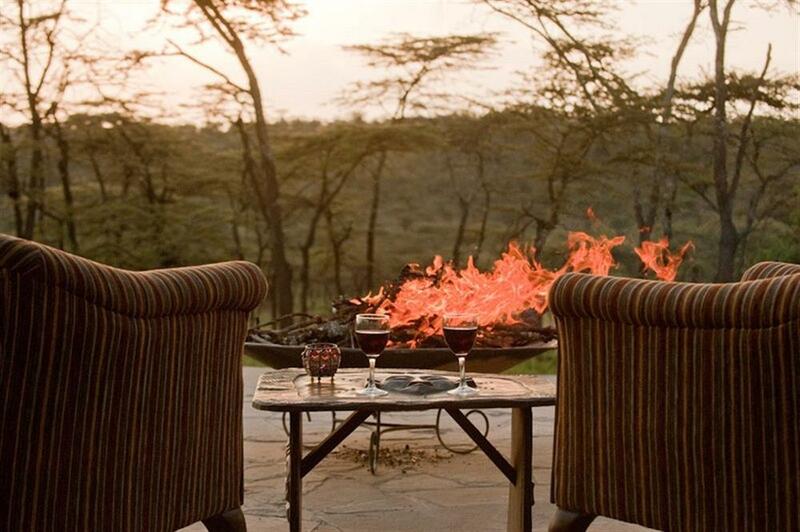 Kicheche Valley Camp is situated in the newly established Naboisho Conservancy offering guests a new location from which to view some of the world's most amazing wildlife and dramatic scenery. 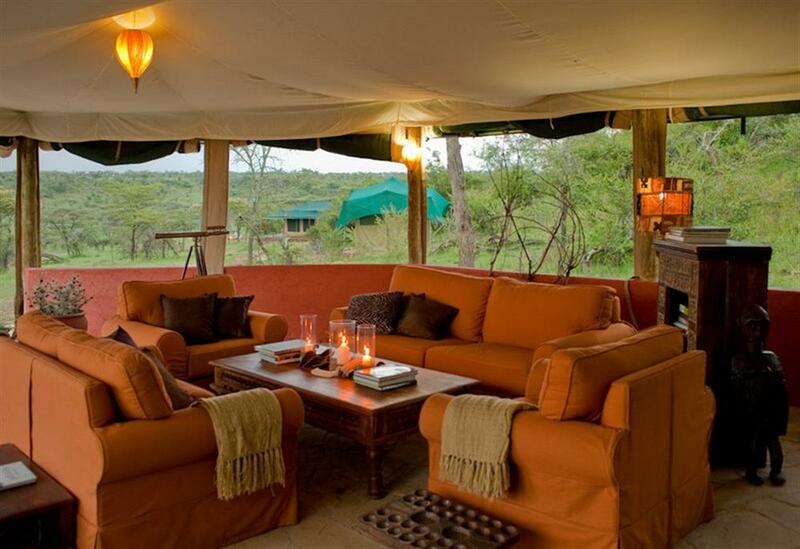 Within Naboisho (50,000 acre) Conservancy, the camp is set on the Eastern side in a beautiful secluded valley dotted with Acacia trees. 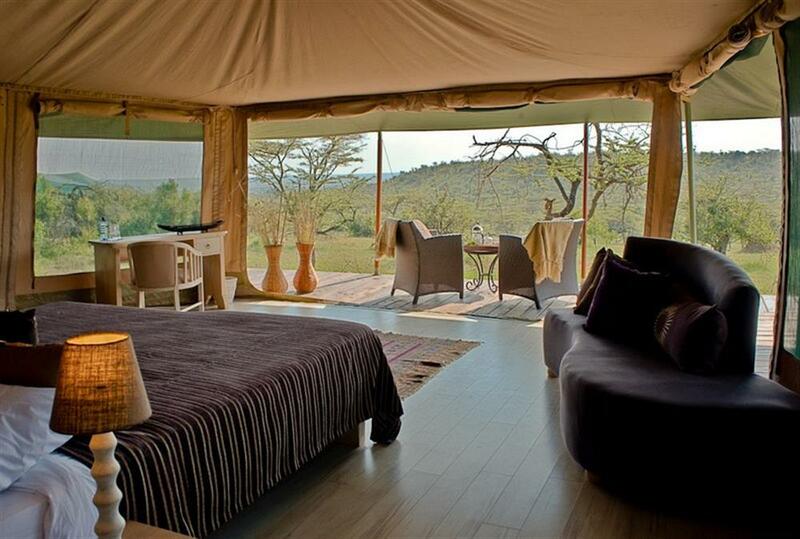 The tents lie amongst the trees and rocky outcrops and enjoy wonderful views of the game filled plains to the south. The camp is an intimate luxury bush camp, completely unfenced, accommodating 12 guests all under canvas. 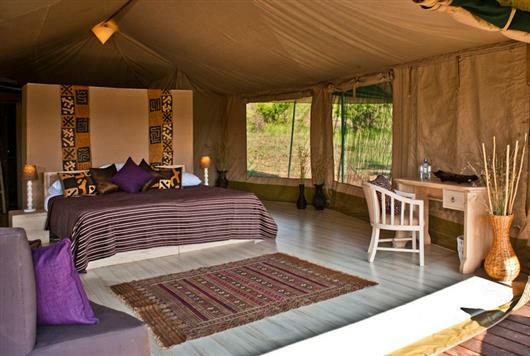 Each tent is spacious, fully insect-proof and equipped with large beds, bedside tables, luggage racks, lounge chair, desk and rugs. Bathrooms are en suite and are equipped with a dresser, shower, flushing toilet and running water. Triple bed configuration is available on request. 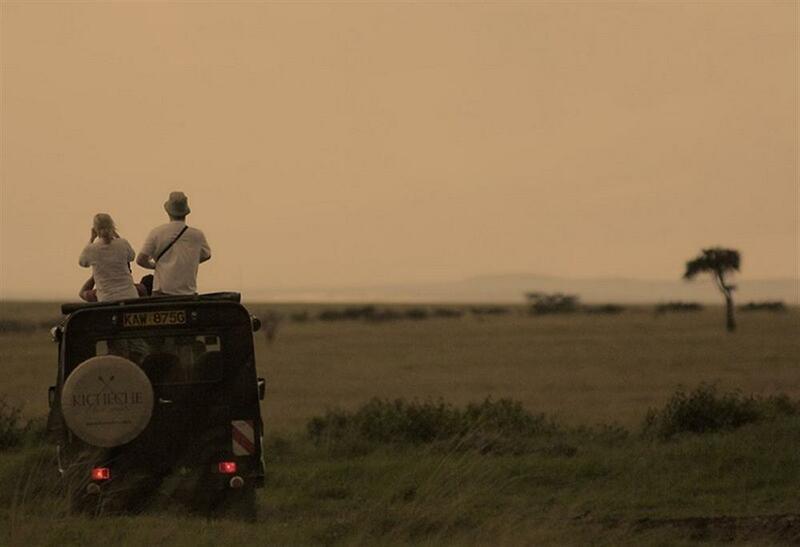 The diverse habitat of Naboisho supports a wide range of wildlife documented by resident researchers. 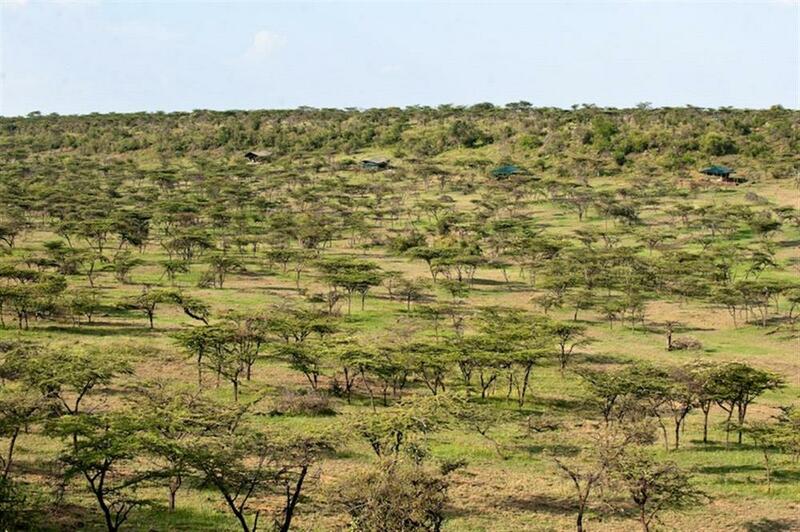 The highest population of giraffe in the Mara are found in Naboisho, elephant herds frequent the area, 3 prides totalling 35 lions have been identified and three prides of another 30-35 lions move between the conservancy and Ol kinyei, Bardamat hills and the northern plains. Five leopard and three cheetah have also been identified by researchers. 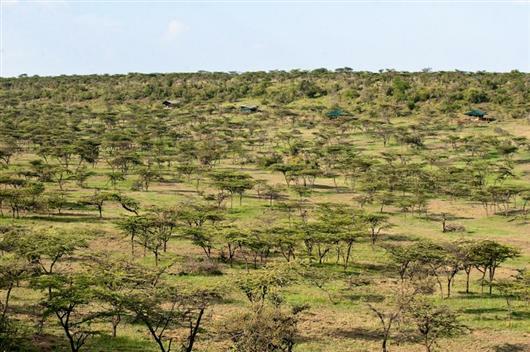 Naboisho is also a bird watcher's paradise; several bird species rarely seen elsewhere in the Mara such as white headed buffalo weavers, northern white-crowned shrike, pigmy falcon, Von-der Deckens hornbills, bush pipits are commonly seen.